Description: This modular building set has a large city scene set up and provided as 3 separate modules which will load on to your stage in position - ready for you to start animating. 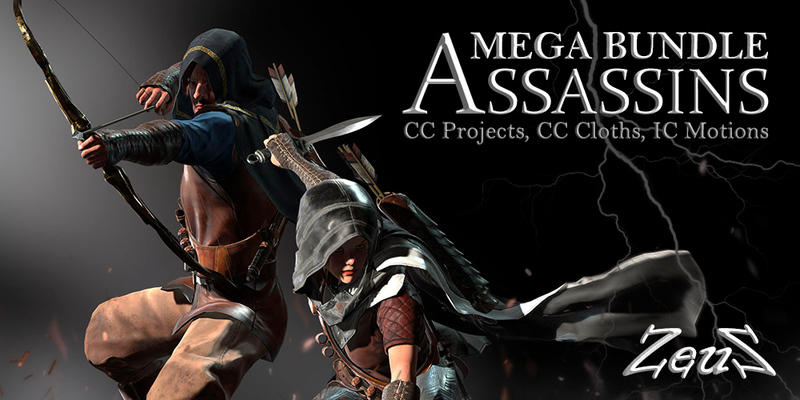 Everything will be in position as in the main promo which was rendered in iClone. Alternatively, just add one module for close up scenes and save on computer resources or reposition the groupings to your liking. In addition, you get all the single props provided so that you can add to or create your own city street. 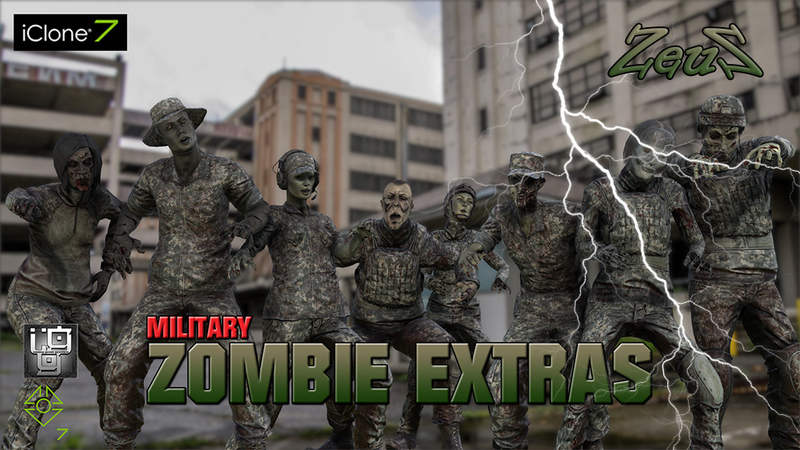 Description: Here are some PBR Military Zombie Extras for your scene. 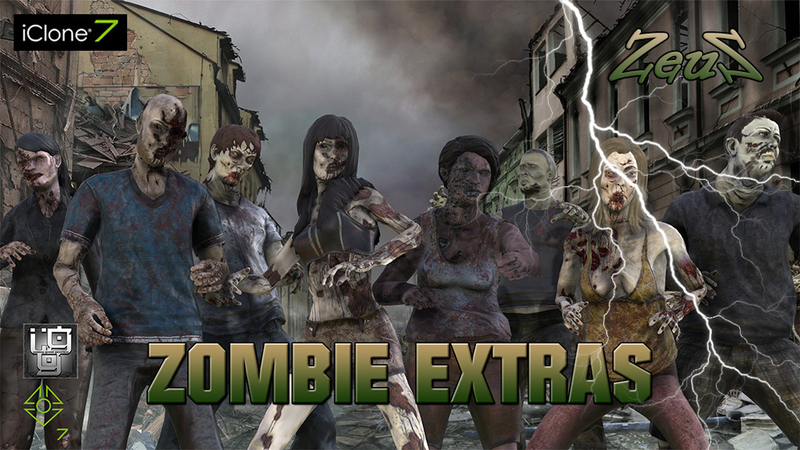 Description: Here are some PBR Zombie Extras for your scene. 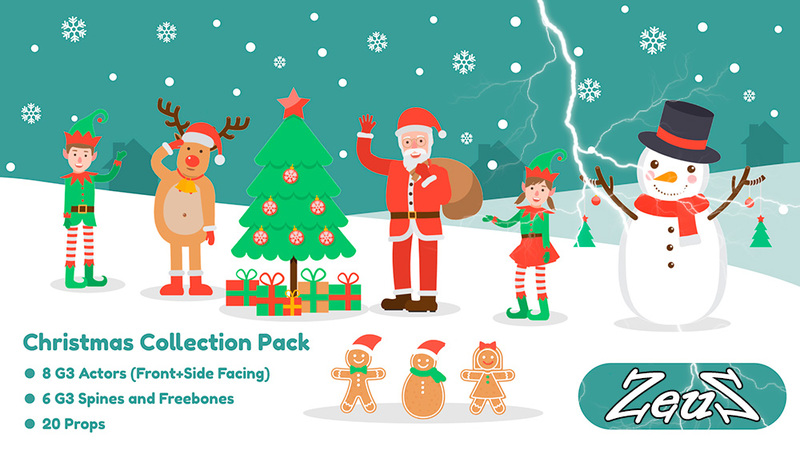 Description: Combo Christmas Collection - Flat design characters collection! - G3 Actors, which you can apply both the G3 front and side facing movements to them, Also These characters are designed to work with facial puppeteering. 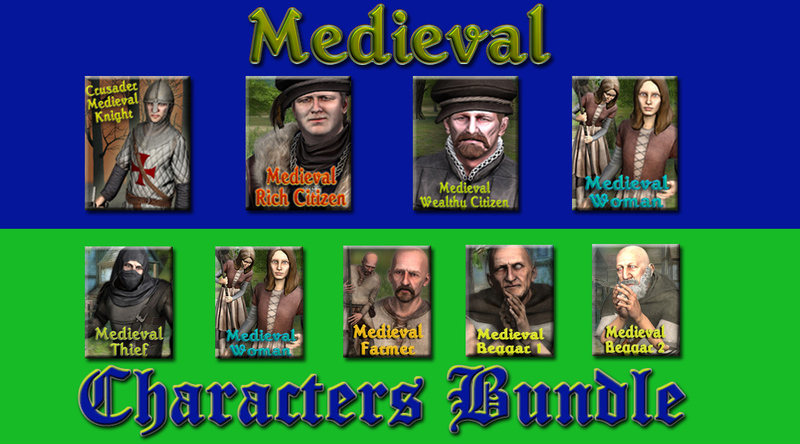 Each G3 Character contains Front facing and side facing actors, 30 hand sprites, 6 pairs of eye sprites and 15 mouth sprites.